By Jordyn Grzelewski | May 20, 2018 at 12:02a.m. 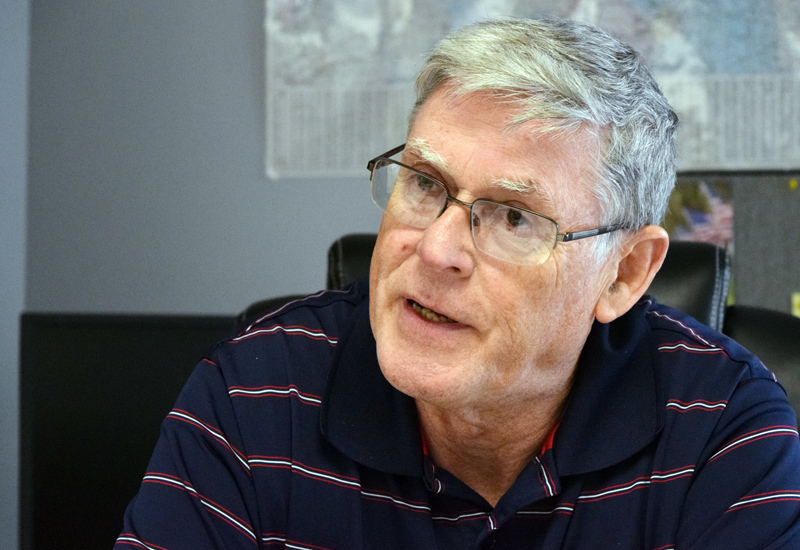 When Michael Heher took over management of Carbon Limestone Landfill on South State Line Road, the site was drawing critical news stories and complaints from neighbors on a nearly daily basis, he recalled. “There was negative news almost every night for the first couple years I was here. Then we started to turn the corner,” Heher said, reflecting on his career with BFI, which later was purchased by Allied Waste and then merged with Republic Services. Heher recently retired as Republic Services’ division manager of Carbon Limestone after nearly 44 years with the company. Brent Bowker, general manager of Republic Services, has taken on his role. During his career, Heher saw some significant changes in the waste-disposal industry; oversaw expansions at Carbon Limestone; and worked to make the facility a better neighbor to the surrounding communities. Heher started his career with BFI in September 1974 after serving in the Navy and briefly working for the Mahoning County District Board of Health and the Ohio Environmental Protection Agency. From 1974 to 1988, he served as BFI’s regional director of marketing and government affairs. Heher recalled that in the early 1970s, there were nearly 90 landfills in Northeast Ohio alone. Now, there are less than 10. The consolidation of landfills affected the Mahoning Valley in the late 1980s, when a landfill in New York stopped accepting commercial and industrial waste, and then eventually closed, sending that waste to Northeast Ohio and western Pennsylvania. Shortly thereafter, the landfill hit a rough patch when the Ohio EPA denied its permit and the county revoked its license. Heher’s job when he took over management of the landfill was to fix those issues and repair relations with the community. “The first thing we did was to try to work with the neighbors,” he said. Area residents expressed concerns about their water service. So, over time, the company invested $3 million to install waterlines. Heher started an annual open house at the landfill, which now draws about 400 people per year. The company began giving away hams to neighbors during the holidays. Most significant, perhaps, was the 1991 host agreement the company reached as a settlement to a lawsuit. Heher helped negotiate the settlement, which was signed by BFI, the county health board, the county solid waste agency, county commissioners, and Poland Township. “That changed everything,” he said. That agreement is “the basis of the relationship between the community and the landfill,” Heher said, noting how it outlines funding the company provides to local communities each year. Another significant project was when the company funded most of the cost of Lowellville building a sewage treatment plant, which it continues to help fund. “This was all done just to be a part of the community,” Heher said. As for why he made being a good neighbor such a priority during his tenure, Heher said it’s because working with the community is easier than fighting it. “And it’s far more rewarding,” he said. August 27, 2014 12:02 a.m.
February 12, 2013 12:54 p.m.
March 15, 2018 12:05 a.m.